(8' Round) Shipping: Metro Manila only. Cake item can deliver only within Metro Manila. 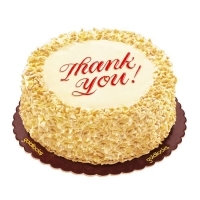 However we can deliver Cake nearby provinces if order over $169. Please read our complete delivery policy in information section. Weeding cake or any special cake rather then just standard cake from Red Ribbon or Goldilocks usually take 7-10 days lead time for delivery. Please order at least 7-10 days early any special cake.